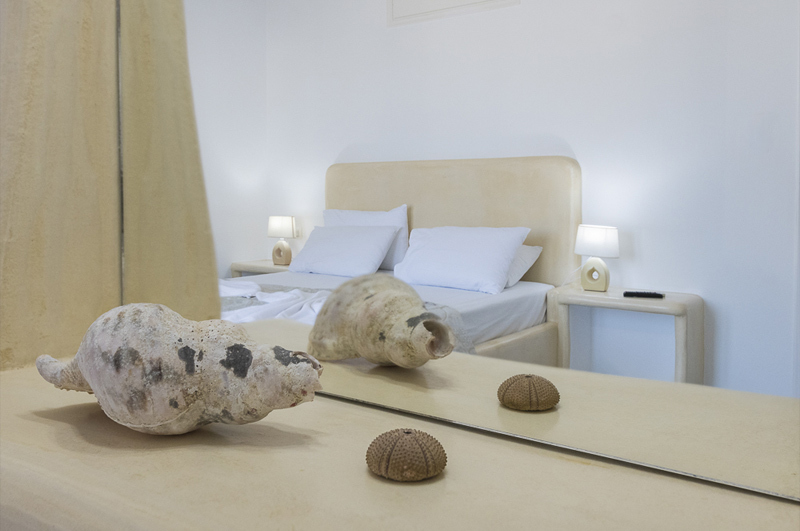 At the extreme point of Pelekouda, the Northern area of Pollonia, you find Remvi Studios. Remvi in Greek means something like "relaxing, dreaming view". 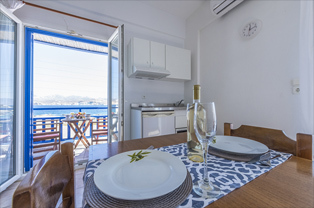 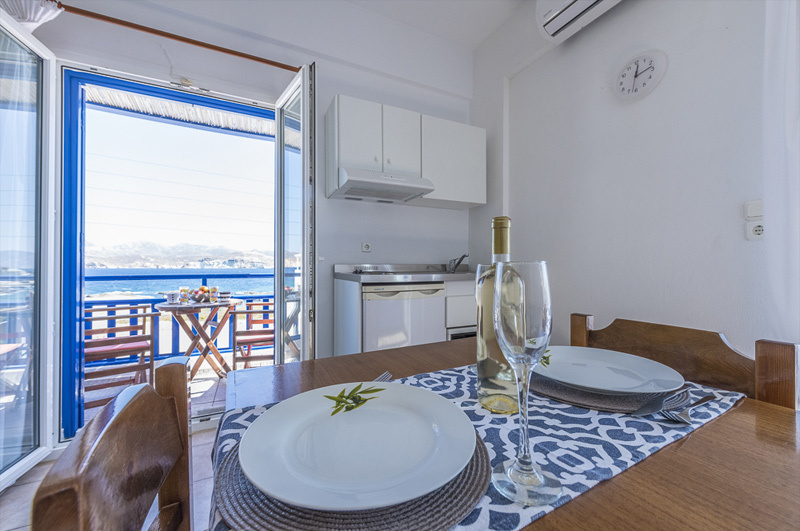 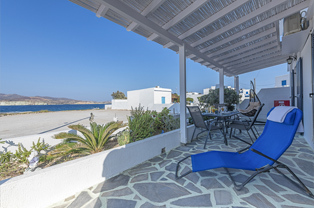 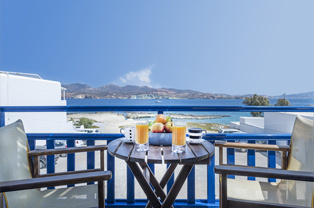 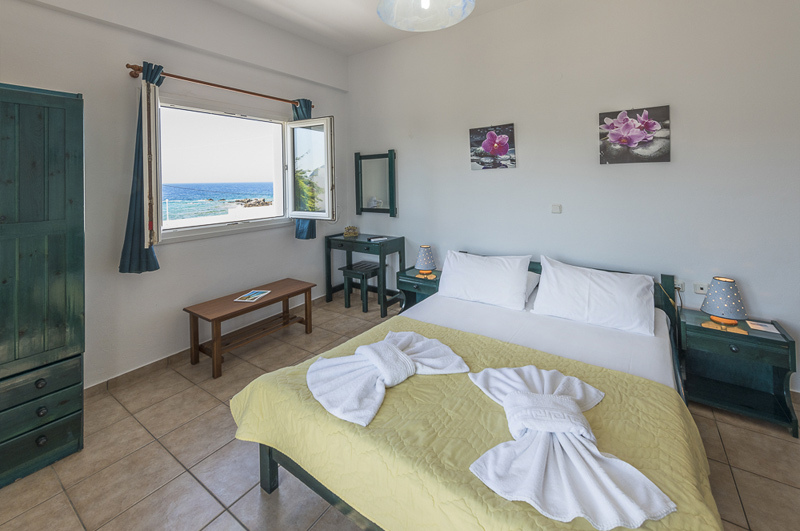 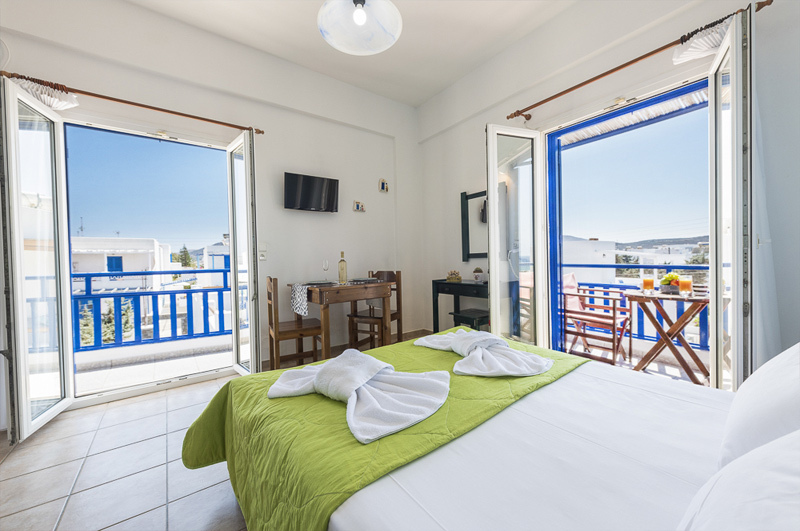 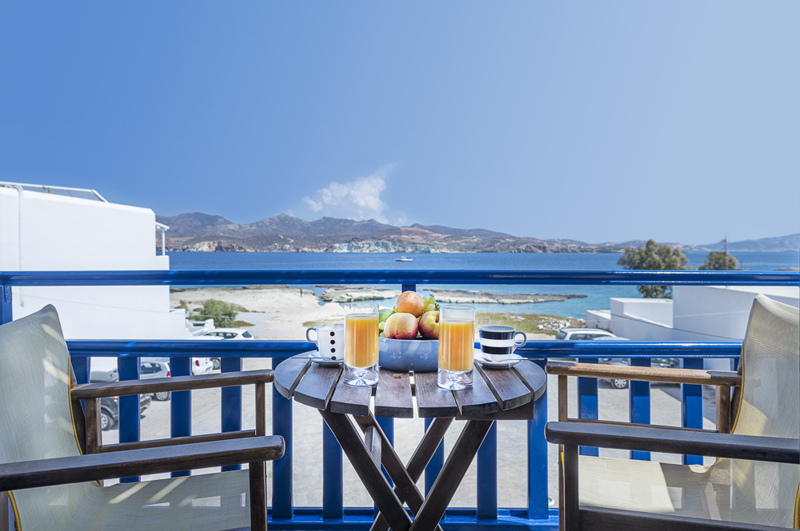 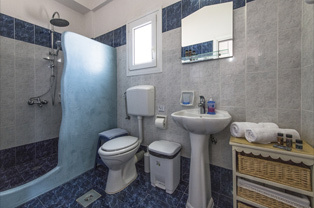 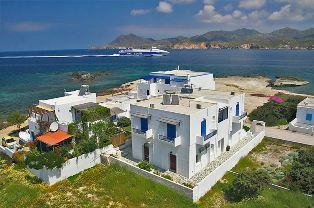 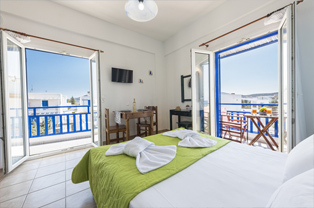 Remvi Studios are 20 mt from the sea, and no more than 250 mt from the center of Pollonia, with its beautiful beach with tamarisk trees, and some of the best restaurants and shops in Milos. 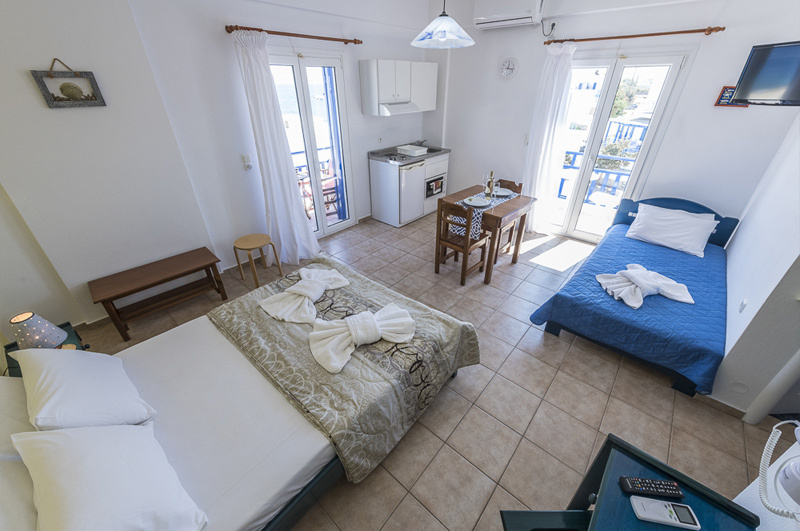 We offer 4 large rooms and 2 apartment for 4 to 7 persons. 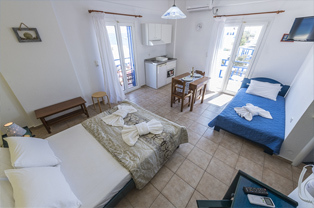 All are equipped with fridge, A/C, TV , private balcony with view to the sea, own bathroom, and kitchnette. 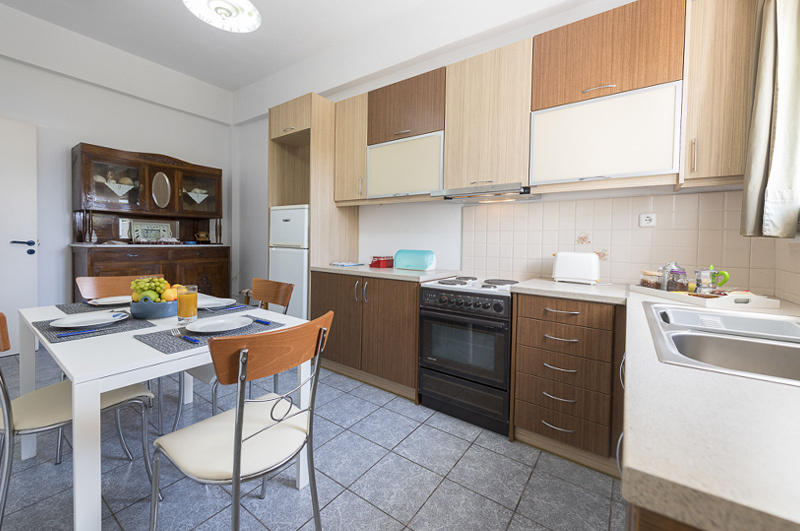 Our apartments also provide a fully equipped kitchen. Our aim is to offer comfort, family atmosphere and hospitality, and the complex is run by our family.